BERLIN -- Sales at the 12-brand Volkswagen Group increased by 4.7 percent in October, as robust demand in China helped offset flat sales in Europe. Group deliveries increased to 870,300 vehicles, the third straight monthly increase at the automaker, VW said on Friday. The result shows that VW may be rebounding from a diesel-emissions crisis that has lasted over a year and cost the company billions of dollars. "Our delivery figures show that our vehicles convince many buyers. Our customers' trust in our products is our most precious asset," the group's sales chief Fred Kappler said in a statement. Group volume rose by 17 percent in China, the automaker's biggest market, but by just 0.9 percent in Europe. In the U.S., sales fell 9.5 percent, while in South America, deliveries dropped 33 percent, with Brazil, the region's biggest market, seeing a 45 percent plunge in demand. Among the group's brands, the core VW marque saw its sales jump 4.4 percent, the third consecutive rise in monthly demand. The brand has borne the brunt of VW Group's emissions-rigging scandal over the past year. 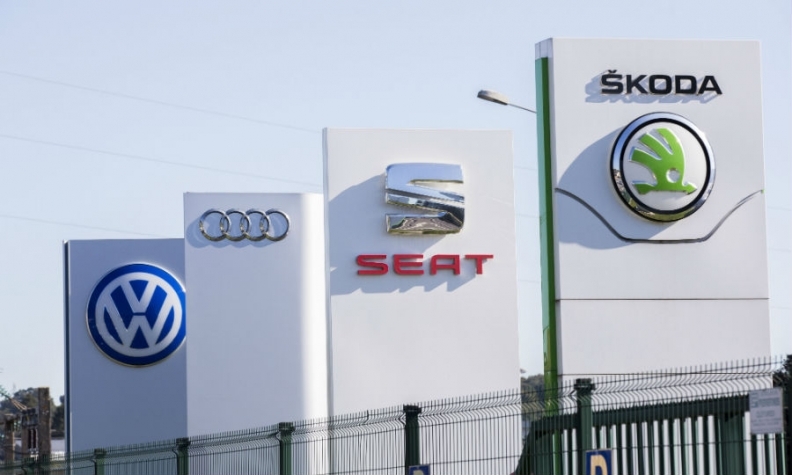 Audi's global sales increased 1.2 percent and Skoda's volume grew by 11 percent, while Seat's deliveries rose 5.4 percent, boosted by the arrival of the brand's Ateca SUV. Porsche volume was up by 5.6 percent. In the first ten months, group deliveries rose 2.6 percent to 8.4 million. VW has said it expects full-year group sales to slightly exceed last year's 9.93 million.